Lord's Prayer and Serenity Prayer styles. 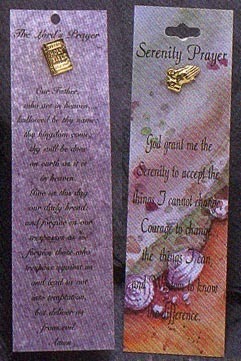 2” X 7” laminated bookmarks with poetic stories about familiar motifs. Pins are gold plated with clutch backs.